Maybe four or five months. The doctor said, ‘Yoel needs more time.’ You know me. If you give me somebody, I take it. But you need to be smart. When the doctor says, ‘You’re ready,’ you can go. I’m waiting. My eye is not ready. I want to fight, but it is what it is. The doctor said, ‘Yoel cannot fight.’ I want to fight on this card, this show. Anytime you have an opportunity to fight at Madison Square Garden in New York, you’re making history. But I need to wait. 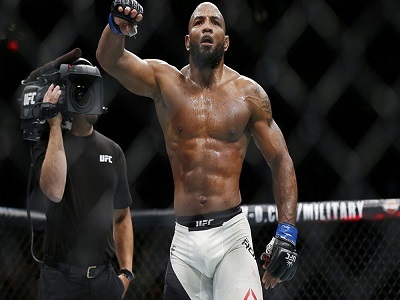 It was rumored he would return at UFC 230 but Yoel just shut the speculation down.